there is a wonderful secret land waiting to be explored under the staircase. 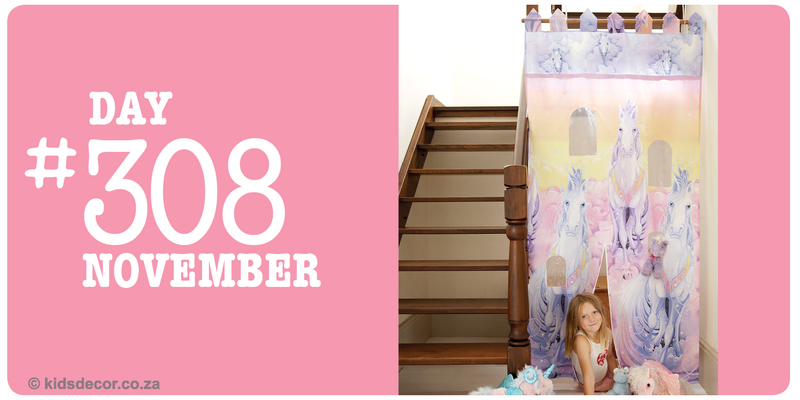 Make a staircase drop our of fabric – easy to put up for a play day and fold away when the game is over, it does not have to be a permanent decor idea! © 2017. All Rights Reserved by Kids Decor & Sam Scarborough. Designed by Bryn Hunter.